Assessment within the PACT approach, whether initial or ongoing, is integral to intervention. Parents play a key role, so it is highly desirable for them to understand the speech-language assessment process. Wherever possible they observe administration and scoring of the Quick Screener, and the results are discussed with the child presence. Parents learn, from the clinician, techniques including, modelling and recasting; encouraging their child’s self-monitoring and self-correction; labelled praise; providing auditory input via listening lists, thematic play / auditory input therapy. They are given opportunities to rehearse new skills, with their child, in therapy sessions with the clinician providing instruction, feedback and support. This allows them to provide appropriate encouragement to their child in everyday speaking situations, and during the times they set aside for speech homework. Parent education is achieved through explicit training, discussion, personalised notes in the children’s speech books, readings if appropriate (website, books and notes); and in-clinic desktop slide shows. Parent education continues throughout therapy, becoming less intensive as progress is made. Parents remain present, actively participating in therapy for at least half of each session, and often throughout the session. Intervention sessions are usually 50 minutes (plus 10 minutes ‘therapist time’), but can be 40 minutes if clinical judgement suggest that this is appropriate. playing (Crystal, 1996, 1998) with lexical and grammatical innovations using morpho-phonological structures: cup/cups; clap/clapped. Families aim for a 50:50 split between ‘talking tasks’ and ‘thinking and listening tasks’ – so there is LOTS of thinking! 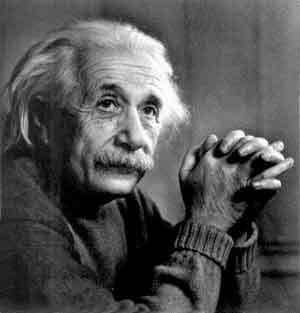 It is helpful to have a cue that means 'think', such as a picture of Einstein - a very good thinker! This balance can sometimes be difficult to achieve because parents often come to therapy with the expectation that the most useful thing they can do at home is to practise saying sounds and words. The fixed-up-one routine enables adults to talk simply to children about self-corrections. Scripts and instructional slideshows are used to teach parents novel skills. The therapist uses stimulability techniques (Miccio, 2005) to teach absent phones. Homework for phonetic targets includes listening and production (50:50). Children are usually taught to produce target phonemes in 2 syllable positions, usually just SIWI and SFWF. Once a child is stimulable for a target, or is producing a passable approximation, or a phone in the same sound class, in syllables or words, therapy moves to the phonemic level and all activities are ‘communication based’ or ‘meaning based’ and are at word level and beyond (Bowen & Cupples, 2006). The child does production practice of a few target words: usually no more than six. This comprises listening lists / focused auditory input; auditory input therapy / thematic play /naturalistic intervention; alliterative input and minimal contrast activities. Suggestions for Multiple Exemplar Training procedures and activities are given (see below), but it should be noted that families are generally innovative in devising games their children like and picking up on natural opportunities (recognising and seizing “teaching moments”). Phonetic production training is integrated with multiple exemplar training. Minimal pairs, triplets, or “fours”, may be minimally, maximally or multiply opposed. Parent and therapist read word-lists to the child, and the child learns to sort words according to their sound properties. Adult says words with the target phoneme; child says rhyming non-target words adult: “flat” child: “fat” adult: “slow” child: “sew”. Child says words s/he can already say. Adult says the non-target word, and the child selects the rhyming word containing the target sound: e.g., working on stopping: Adult says “pole”; Child selects a picture of “foal”. Adult responds to the word actually said. e.g., Child says [tIp] for chip and is handed tip. The aim is for the child to recognise communicative failure and attempt a revised production. The child is shown 4 pictures: e.g., tea-team; bee-beam. The pairs are said to the child rhythmically several times. Cards are “shaken up” in a container and tipped out. The child then arranges them “the same as they were before” (i.e., in pairs). The child sorts near minimal pair words with consonant clusters SIWI or SFWF from contrasting words with singleton consonants SIWI or SFWF e.g., plane-pain plan; nest-net. Child “finger-walks” two steps (to a destination) upon hearing a consonant cluster SIWI as opposed to a singleton consonant SIWI e.g., the child “walks” for “trip” but not “tip” or “rip”. Parent and therapist read or say, without amplification, up to 15 words, or up to 7 word-pairs or triplets representing a target, or target and error, or targets and error, usually with the words pictured, but sometimes not. The child plays games, stories, etc. that give rise to frequent repetitions of a few targets (for the child to hear). Suitable children’s stories include 'One Duck Stuck' by Phyllis Root (for /k/ SFWF), 'Marvin K Mooney' by Dr Seuss (for /k/ and /g/ SIWI), and 'Buzz, Buzz, Buzz, Went Bumblebee' by Colin West (for /s/ and /z/ SFWF). Worksheets such as those from from Black Sheep Press, the ARTIC Chipper Chat board games and similar materials can be used to provide auditory input that is ‘very alliterative’. A child sorts words pictured on cards according to their sound properties, in sessions and for homework, and engages in homophony confrontation tasks (in therapy sessions but not at home). Contrasts can be minimal, maximal or multiple. Homework comprises activities from the most recent session: in 5-7 minute bursts once, twice or three times daily, one-to-one with an adult in good listening conditions. Practices can be as little as 10 minutes apart (e.g., practice-story-practice-story-practice-story; practice-craft-practice…). The 50-50 listening-thinking/talking split is observed. Parents are urged to make the homework regular, brief, naturalistic and fun. Instructions and activities go in a homework book and are explained as often as required. Parents are discouraged from ‘compensating’ if they have a ‘bad’ homework week. Typically children with phonological disorder only have required a mean of 21 consultations for output phonology to fall within age-expectations. This means that many are ready for discharge at the end of their second block (30 weeks after initial assessment) or immediately after their second break (40 weeks after initial assessment). A small number need a third block; fewer still need four, and there is no record of a child needing more than four treatment blocks. Children with phonological disorder plus mild language or fluency difficulties have required about the same volume of therapy for speech, but may continue for longer to address other, non-speech goals. Usually, the first block is spread over 10 weeks (10x50 minute sessions, perhaps with some of them 40 minutes) and the first break that follows it is also approximately 10 weeks. The length of the ‘blocks’ then tends to diminish in response to client need, with the breaks remaining constant at 10 weeks. So a child might have 10 weeks on, 10 weeks off, 8 on, 10 off, 7 weeks on, 10 weeks off. PACT targets speech perception and intelligibility in children with phonological disorder. It may also impact morphosyntax and phonological awareness (particularly phonemic awareness) and hence literacy acquisition. Although not designed for children with CAS as the primary population, it has been incorporated, with Integral Stimulation therapy (Strand, Stoeckel & Baas, 2006) and compatible ‘CAS techniques’ that follow the principles of motor learning (Schmidt & Lee, 2000), to treat children diagnosed with CAS (i.e., CAS plus/minus phonological issues). The minimum parent participation at the clinic involves the parent joining the therapist and child for 20 minutes at the end of a session, or 10 minutes at the beginning and end. Parent participation entails the parent being actively involved in a treatment ‘triad’ with child and therapist. These segments of parent participation require the child’s continued involvement, to demonstrate what should happen during homework.